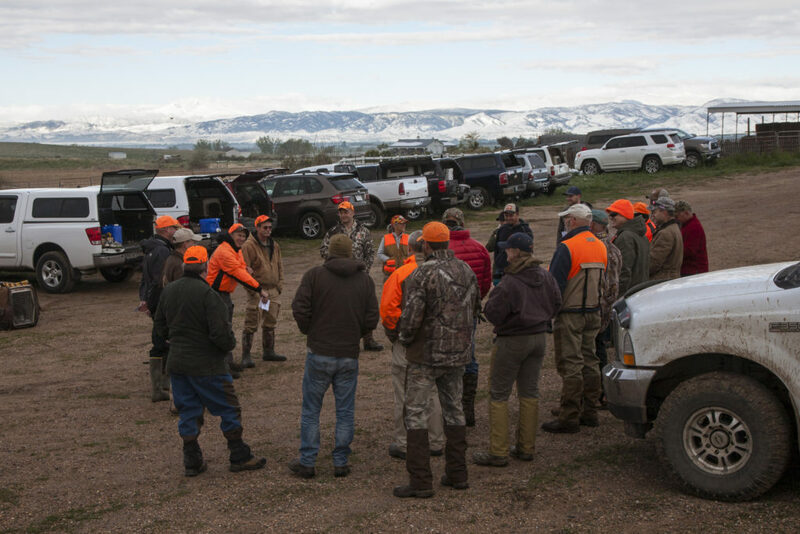 Each year, the Rocky Mountain Chapter of NAVHDA holds an annual meeting to select its board, establish test dates, set chapter dues and identify special training clinics for the coming year. This year, we are holding our meeting at the Johnstown Scheels on Sunday Jan. 13 from 1:30 to 3:30 pm. After, we’ll gather at a nearby restaurant (TBD- suggestions welcome) for a social hour. Please save the date and look for a Signup Genius link shortly. Each annual meeting is important for the Chapter, but this year more so than most because there will be significant turnover on the board of directors. While all positions are elected every year, the chapter needs to select a new slate of these key positions: president, vice president, training director, test secretary and treasurer. We are fortunate to have had core chapter members step forward to put their names up for nomination for three of these roles: president, vice president and training director. We are reaching out to you to help us fill two others: treasurer and test secretary. The chapter has never had a lot of money, so we work hard to be fiscally responsible. For treasurer, we’re looking for someone with experience managing books who will maintain a sharp eye on our accounts. The treasurer receives all incoming funds (including membership, test fees, and training clinic fees), pays all bills (our insurance, judge’s bills, permits, etc), maintains the chapter checking account and CD, and provides a treasurer’s report at all meetings. Scott Waggy has done a superb job filling that role for us. Scott and his wife recently welcomed their first child and he is understandably looking to focus on his family this year. Scott has lined out a system for managing the accounts and said he will be happy to work with the new treasurer. This year we will be able to accept membership and clinic fees through our website, which will reduce the workload somewhat. Sara Heesacker has been tremendous as our Test Secretary this year, taking over for Phil Goodwin seamlessly as we expanded to two three-day tests. With Craig McLaughlin stepping back after many years as Training Director, Sara has expressed interest in running for that role. Test Secretary is a critical and essential role for the chapter. It entails a fairly clear-cut set of pre-test prep and post-test reporting responsibilities and requires a detail-oriented person who hits deadlines. Sara has created a Test Secretary manual that lines out all responsibilities and timelines for this important position and has said she’s happy to work with a new secretary to make sure there’s a smooth transition. The strength of any organization is in the next generation, and we are very fortunate to have a deep pool to draw from. It has been a great privilege to lead the chapter this past four years, to watch it grow and see a new core of experienced handlers and leaders emerge. In addition to the board roles, the chapter is always in need of volunteers to help staff tests, training clinics and especially training days. If you and your dog have benefited from our chapter programs and would like to give back to the community which has helped you progress in your training program, please consider volunteering this year in preparation for stepping into a leadership role in 2020.Hope you’re still out there enjoying your hunting season, and we look forward to seeing you on Jan 13. This entry was posted in News by Steve Roberts. Bookmark the permalink.